HD-7PXW (REV. 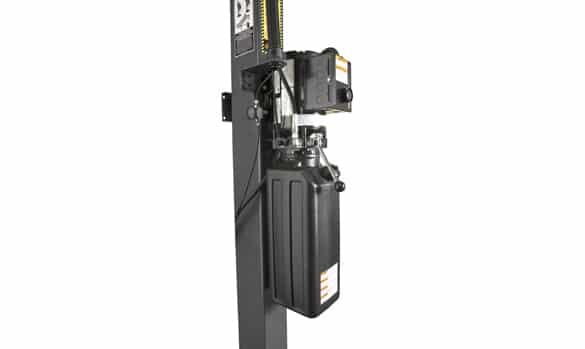 M) is a super-tall, four-post, runway-style lift platform designed for professional use in service bays. 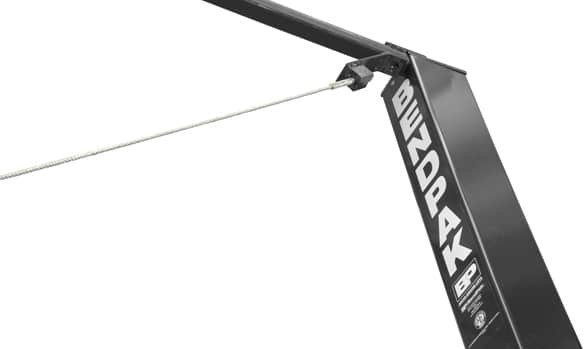 A true lifting powerhouse, this high-speed lift will easily hoist 3-1/2 tons to heights exceeding 12′. 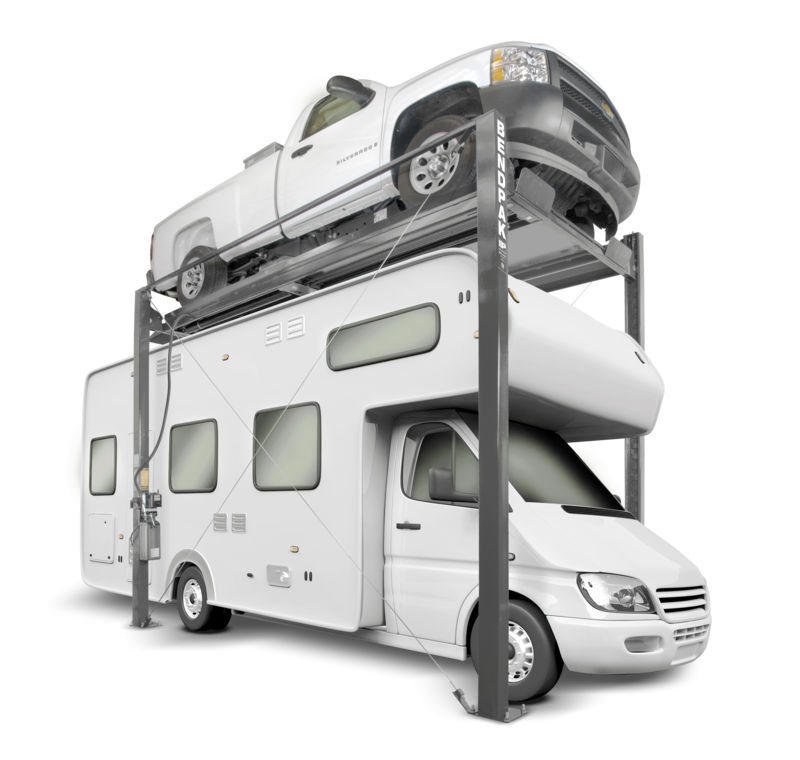 Now you can finally store your high-profile trucks, vans and Winnebagos. 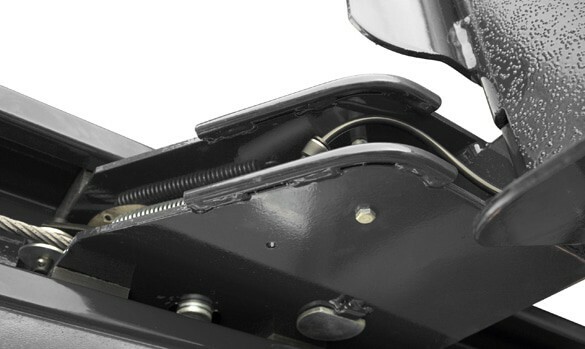 The HD-7PXW is equipped with multiple adjustable height locking positions for variable-height parking. 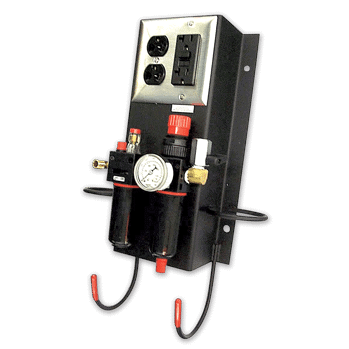 A convenient push-button pneumatic safety lock control releases all four independent safety locks simultaneously. 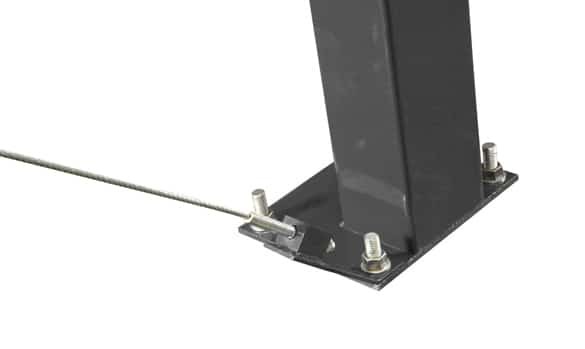 Each lift is supplied with 4 high-quality stainless steel lifting cables, rated at 14,400 lbs. each. The combined rating of these cables is more than 822% of the maximum lifting capacity of the entire lift! And we make sure it looks tidy too—all lifting cables are fully enclosed within the lift structure itself. 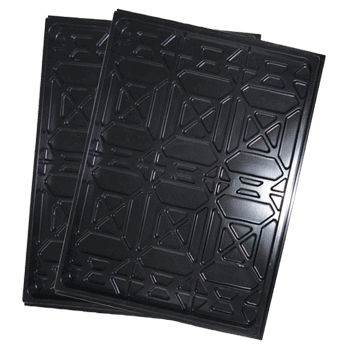 10″ x 12″ base plates provide a solid foundation for the HD-7P. Lifting Capacity 7,000 Lbs. / 3175 Kg. A – Overall Width 110-1/4″ / 2800 mm. B – Outside Length 198” / 5029 mm. C – Overall Length 213” / 5410 mm. D – Height of Columns 158” / 4011 mm. E – Min. Runway Height 4-1/2” / 114 mm. F – Max. Rise 140” / 3556 mm. G – Max. Lifting Height 145” / 3685 mm. H – Width Between Columns 100‐1/4” / 2,555 mm. I – Runway Width 19” / 483 mm. J – Width Between Runways (*) NARROW 37-1/2″ / 952 mm. J – Width Between Runways (*) WIDE 44-3/8″ / 1127 mm. K – Runway Centerline (*) NARROW 56-1/2″ / 1435 mm. K – Runway Centerline (*) WIDE 63-3/8″ / 1610 mm. L – Outside Edge of Runways (*) NARROW 75-1/2″ / 1918 mm. L – Outside Edge of Runways (*) WIDE 82-3/8″ / 2092 mm. M – Drive-Thru-Clearance 86-1/2″ / 2197 mm. N – Length of Runways 188″ / 4775 mm. Min. Wheelbase @ Rated Capacity 135″ / 3429 mm. Min. Wheelbase @ 75% Capacity 115″ / 2921 mm. Min. 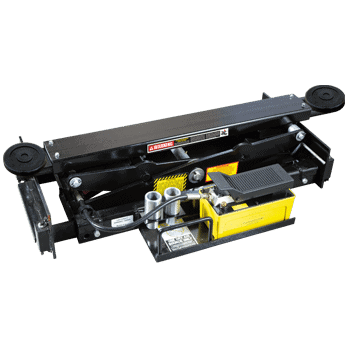 Wheelbase @ 50% Capacity 95″ / 2413 mm. Min. Wheelbase @ 25% Capacity 80″ / 2032 mm. 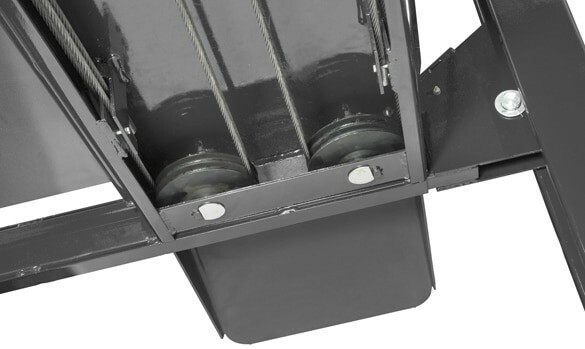 Lock Spacing Every 4″ / 102 mm. Standard Motor (**) 208-230 VAC / 50-60 Hz. / 1Ph.